Pratt Industrial® is a manufacturer of high-quality resilient-seated, high performance, and triple offset butterfly valves and actuation. Through its affiliation with the Henry Pratt Company, Pratt Industrial brings to market a unique combination of deep application knowledge, financial resources and innovative products. 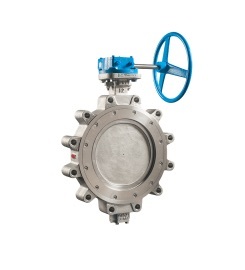 Pratt Industrial offers high-quality solutions at a value unmatched in the valve industry.